I am very excited to join the amazing staff at El Rincon Elementary! This will be my fourth year of experience as principal of an elementary school. I am looking forward to an amazing school year here at El Rincon. El Rincon is proud of its strong tradition of excellence. A tradition that creates high expectations for student achievement within a nurturing community of learners where students have an opportunity to succeed and grow. I am honored to be a part of the community and will work hard to uphold the legacy of excellence, working with staff, parents, and community. Just a few things about myself, I began my teaching career in Chicago, Illinois where I taught for three years. After a move to Los Angeles, I taught with the Los Angeles Unified School District for 12 years in grades K-8th. 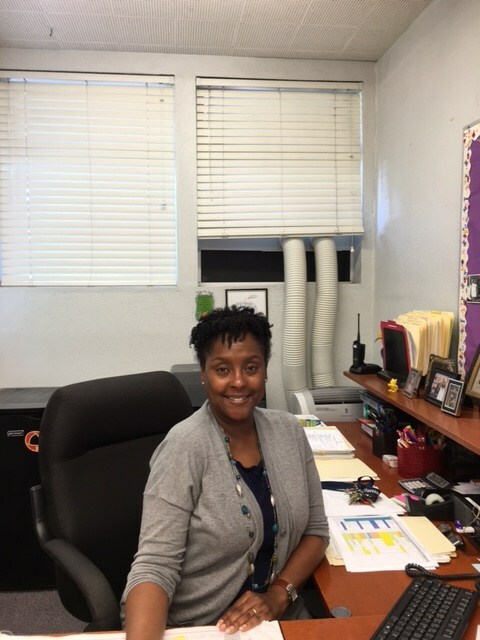 I then worked in various positions in LAUSD where I had an opportunity to grow and learn the Prek-12th grade system, before taking on the position of principal. These positions include: math coach, math coach mentor, Categorical Program Coordinator, RTI Expert, Title III Coordinator, and Reading First Coordinator. I then joined the Lynwood Unified School District as an elementary school principal of a PreK-6th grade school. While there my school received the California Gold Ribbon Award and the Title 1 Achievement Award in 2016 from the California Department of Education. Finally, I would like to take this opportunity to introduce you to the new members of our El Rincon Rockets Family. Please join me in welcoming our new teachers! They are: Breigh Dang Kindergarten, and Ms. Maria Hargrove 4th grade. We are so happy to have them!